The rains have finally stopped and we're now into cool season. I enjoy the weather a lot - about 10 - 15 degrees C in the mornings. It's nippy as the houses don't have heating so it's great to get out for nice morning walks. Another benefit is the glowing later afternoon light. I don't know why the light takes on this characteristic but it's beautiful. 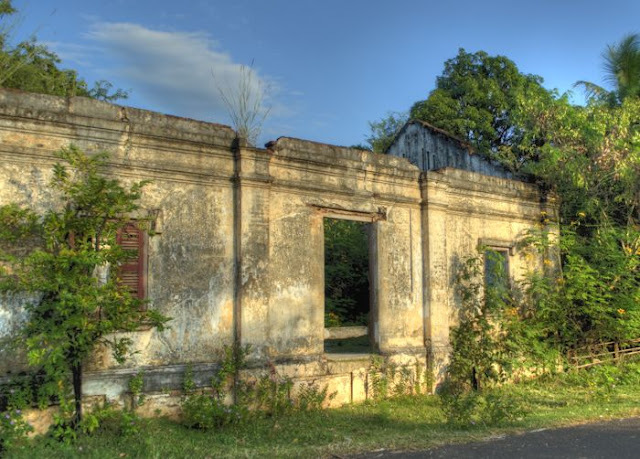 A week ago, I was in Pakse and took the above photo of an abandoned house, with a wisp of cloud over it. For the past eight months, Vientiane has been working on the waterfront park. It used to be a mostly untended strip of land by the river, maintained by vendors who built small temporary shacks for cooking and selling food and beer to enhance the experience of viewing the sunset over the Mekong River. This year, Vientiane is celebrating the '450 year road,' of its existence so the park is part of the beautification of the city. 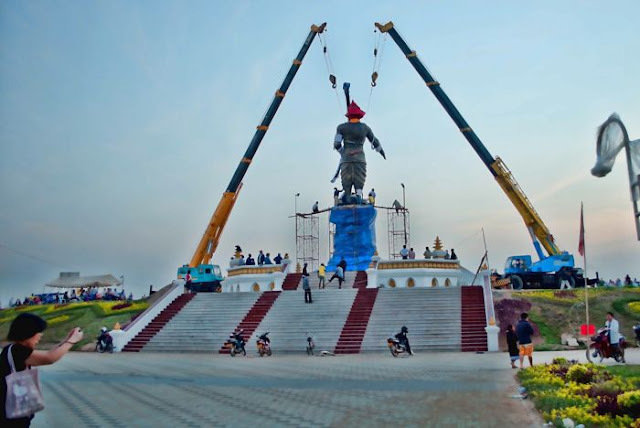 Earlier this week, the eight-meter tall statue of King Anouvong was placed on its base. Like anything out of the ordinary, lots of people came to the park to watch the workers weld the King to his pedestal. Well, I was there too! 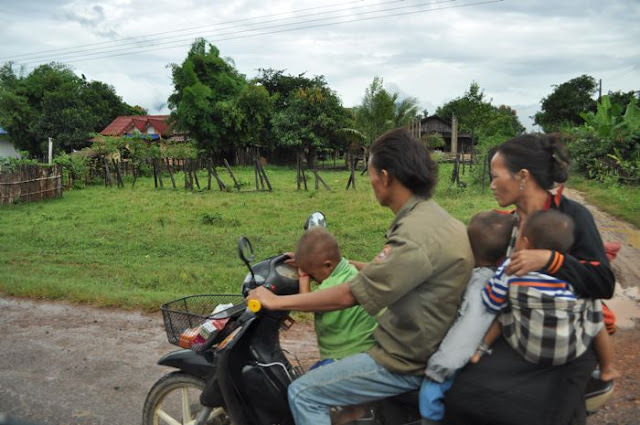 And under a threatening sky, a family of five people all on one motorcycle. Hope you enjoyed my photos. This is my contribution to Skywatch Friday, whose members post pictures of the skies around the world. the soft morning light is beautiful. we have the same road scene here---a family on a motorcycle. it's dangerous but riders seem fearless. The first photo is so incredibly gorgeous. I love the light. The 3rd shot, I see like this in the Philippines too. Happy Friday!